Nintendo has announced that the Super Nintendo Classic will be released on September 29 of this year. 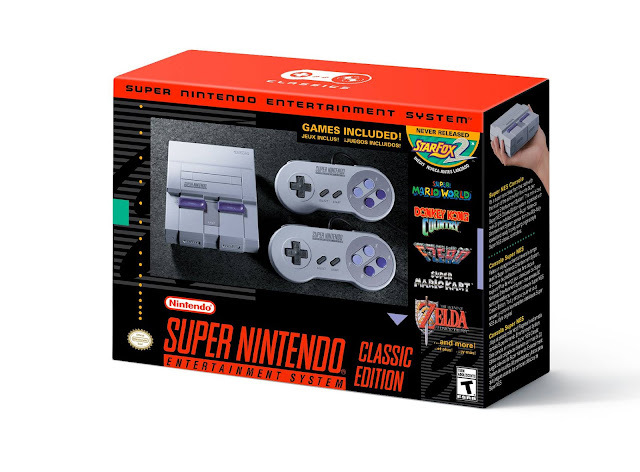 Forgive my lack of excitement; following the serious supply and demand issues of the NES Classic, I'm not holding my breath to ever get this sucker into my hands since I can't be bothered to pre-order. Nintendo has made promises to several news outlets to ramp up production on the SNES Classic, but whether the promise is fulfilled remains to be seen. The system comes with an HDMI cable and two controllers (each with an extra two feet of cable, thankfully). The SNES Classic is releasing as the Super Famicom Classic in Japan, complete with the proper colouring. The system gains three games – Panel de Pon, Super Soccer, and Legend of the Mystical Ninja – but loses Castlevania IV, Punch-Out!, and Kirby's Dream Course. Last week we reported that SEGA announced a special physical edition of Hatsune Miku: Project Diva Future Tone in Japan, which would have all the base game and DLC additions that were present in the original release, as well as a couple of extra bits and pieces, to encourage people to buy the whole pack on a physical disc (not that we needed encouragement, really). Unfortunately it looks like the west will be missing out on the physical release, but at least we’re are getting the additional bits and pieces as an extra release of DLC. This extra DLC pack will include a new photo mode (there is nothing better in gaming than taking photos of Hatsune Miku, so this is a great bonus in itself), as well as a new song (Ghost Rule:Music & Lyrics by DECO*27) and a new costume to do with it. No news on when this will be released at this stage, but it’s certainly a good sign that SEGA continues to support Miku in the west by localising everything released in Japan. Miku is the world’s princess, and her star continues to rise ever further. In Aven Colony, your job is to build a new home for humanity in a hostile environment. This means that, in addition to building the usual working and residential facilities that we see in all city builders, you’ve also got to concentrate on air quality, the integrity of the great domes that keep the outside elements out, and all that good stuff. It looks like these additional challenges will add yet another layer to the complex management balancing of the standard city builder, so we’re hoping that this game does its premise justice. The new trailer itself is designed to show off that the game has been re-engineered from its PC roots for console, so people with a PS4 or Xbox One controller in their paws will be able to play without struggling with the controls – always a concern when it comes to city builders on console. The Seven Deadly Sins has been puttering along as a perennial favourite anime for some time now, without having much of a gaming presence. That’s all set to change courtesy of Bandai Namco, though, and though it’s very early on, we’ve already how our interest piqued. Bandai Namco has released a little teaser site, which doesn’t have much by way of detail yet, but it does have to rather impressive-looking screenshots, showing off really good looking character models, and a hint of the action to come. We do know that this game will be some kind of action game, and that one or two people can get stuck in. Will it be a fighting game, like Bandai’s J-Stars, Jojo, and DragonBall titles? 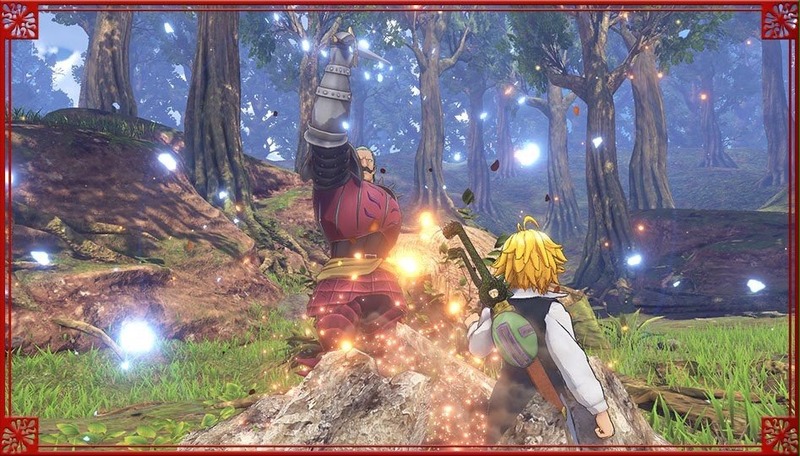 Wehope not, but it would also seem that it’s not likely to be a Warriors game in the vein of most of Bandai’s One Piece titles, as it’s not being developed by Koei Tecmo. Whatever form it does take, though, we’re looking to find out more about it.